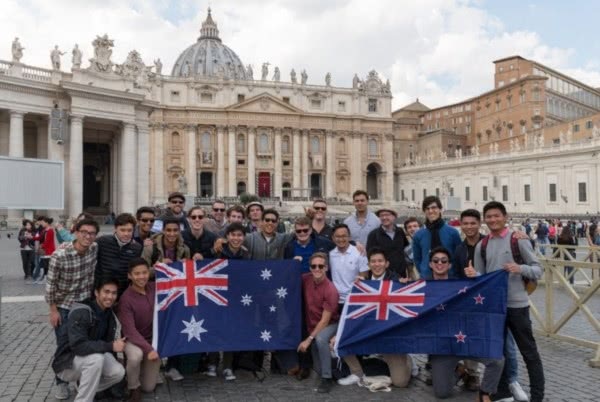 It was a long-time dream to join thousands of other young pilgrims in Rome with the Pope for a group of young Australians and New Zealanders, but for some the reality surpassed their imaginations, as they came face to face with Pope Francis. Of all the young students travelling to Rome, those from ‘Down Under’ had the furthest to go. A 17-hour flight took the ‘Kiwis’ only to Doha, before another 8-hour flight into Rome. It was a similar journey for the Aussies. For Tim, from New Zealand, and Simon from Australia, it was their very first time in the Eternal City. They had white tickets in their hands on the Wednesday, the day of the Papal Audience. Pope Francis had briefly toured the piazza before addressing the pilgrims from all over the world. Tim said he had prayed for the Holy Father every day and wasn’t going to let him come so close without giving him a proper greeting. 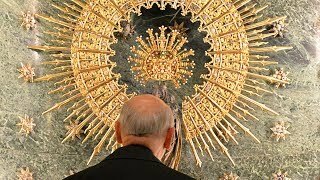 “After the Pope had finished the audience, we squeezed our way up to the inner barrier, behind people who were going to get to actually greet the Holy Father. As he was coming around to our side, Simon managed to grab the Holy Father's attention who, after smiling at him, somewhat motioned for him to climb over! Simon said “It was awesome. 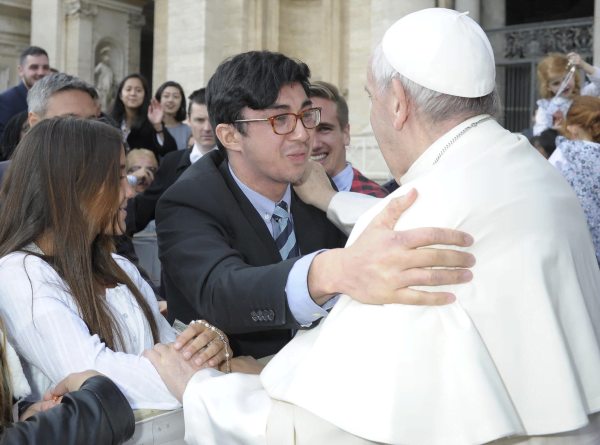 Coming all the way from Australia, I wasn’t going to let a barrier and three metres stop me from meeting the Pope. Simon said the whole UNIV forum defied his expectations. Xavier is also an Australian, from Melbourne, and didn’t have to jump any physical barriers to get to the Pope but he broke through the language barrier by practising a bit of Spanish beforehand. "We actually chatted for a minute or so, which was a real treat. I told him where I was from, and that I prayed for him every day. He asked me to keep doing so, saying ‘Thank you, I need it.’ And after he went to greet the next person, he came back to me and this time spoke in English and said: ‘Don’t forget!’ How could I forget now? “I was struck by his humility, affection and joy. Despite the fact that he was meeting so many people in such a short space of time, he made an effort to pay attention to everyone he talked to. He really takes an interest in every individual." It is quite a project to organise a visit from so far away, but increasingly larger numbers from Australia and New Zealand are flocking to Rome to take part in the week-long congress. Not everyone will get to meet Pope Francis in person, but every pilgrim has a unique and personal encounter with Christ, through daily prayer and the sacraments, and visiting the important historic sites of early Christianity. This year’s visit was the 50th anniversary of the UNIV Forum. A real focus was the theme of building up society for the future. 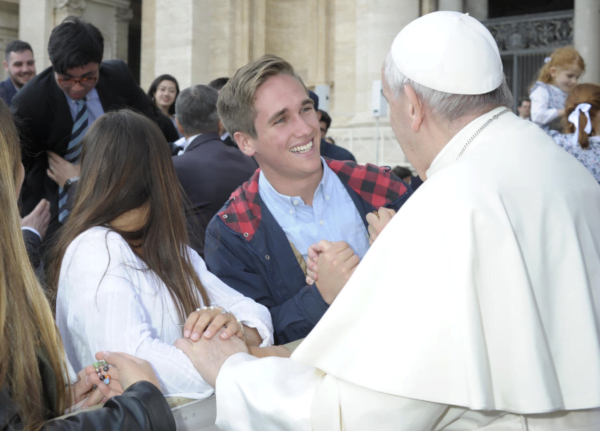 Later this year, the Pope will convene the special synod on the youth. Tim said that’s something he can easily do back home. “Yes well we have 60 million sheep in New Zealand and I think there’s about 75 million in Australia,” he said.